In this novel authorized by Little House Heritage Trust, Sarah Miller vividly recreates the beauty, hardship, and joys of the frontier in a dazzling work of historical fiction, a captivating story that illuminates one courageous, resilient, and loving pioneer woman as never before–Caroline Ingalls, “Ma” in Laura Ingalls Wilder’s beloved Little House books. I read this after seeing several people talk about for fans of Little House On the Prairie. I loved the Little House Books growing up and was curious about this book. There were some things that I liked about the book. 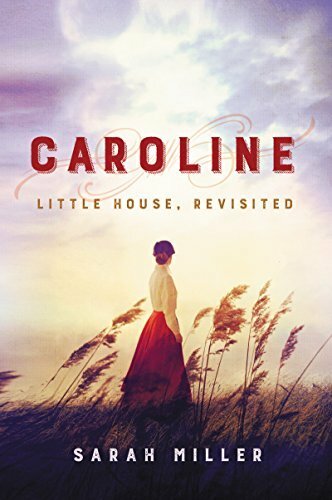 It covered the hardships from Caroline’s perspective which was nice, but overall this book wasn’t my favorite. And it is not for kids. Not at all. This is what I would consider an adult book. This book has some sexual content that surprised me. I want to know about Caroline and what life might have been like for her, but I don’t care to read detailed descriptions of certain things. It also felt very flowery at times when it came to descriptions and feelings. The same basic thing could have been said with a lot less wording. This book just wasn’t for me.